Does anyone know how I can avoid to open a contextmenu when the Header Contextmenu of a Gridview is opened? Here is a picture of what's happening. 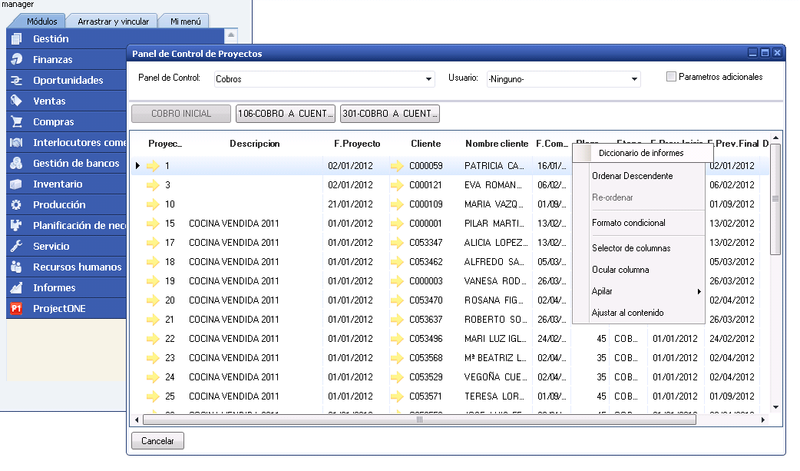 I assume that you have assigned a ContextMenu to the Form, which gets opened together with the grid's context menu. If so, what I can suggest is to use RadContextMenu for the form, which will get opened when the form is clicked and it will remain closed when the grid is clicked. Furthermore, your context menus will look consistent. Information how to add RadContextMenu to the form can be found here: http://www.telerik.com/help/winforms/menus-context-menu-assign-radcontextmenu-to-telerik-and-non-telerik-controls.html. I hope that this information addresses your question. Should you have any other questions, do not hesitate to contact us. Thank you very much for your help. That was the problem! !